In the Midwest we have a saying: “If you don’t like the weather, just wait five minutes.” This week is living proof of that adage. Monday was sunny and hot – high near 90 degrees. The air condition was running full blast and all were dressed in shorts and t-shirts. Today the morning weather greeted me with a cloudy and chilly – 49 degrees – fallish day. The forecast calls for a week filled with sunny days with highs hovering in the low to mid 70s and I am more than ready for this change of seasons. Another indication that fall is here can be seen at all the local grocery stores. I pulled into the parking lot yesterday morning and was greeted with autumnal displays of dried cornstalks, jack-o-lantern pumpkins, bumpy and lopsided gourds, and small bundles of colorful Indian corn. Just looking at these vivie displays puts a smile on my face. I plan to take my camera with me someday this week (probably early morning when there will be few shoppers to question my sanity) and experiment with some creative photos of my favorite time of year. I am not quite sure why I like fall so much. I literally feel less burdened by life now that I have spotted these tale-tell signs of the season. I do not feel this way about spring. I notice the trees starting to bud, and I notice a few of the flowers making their appearance after a landscape of nothing but winter brown, but Spring is just not a season with which I resonate. Perhaps it is because I am not a gardener, so the anticipation of landscaping is non-existent. Or perhaps it is because Spring is so short-lived here in Kansas: we tend to go from from frigid winter to stifling summer in the span of two weeks. But Spring signals a rebirth – a new chance at life. Spring is a season of hope – or at least in literature it seems that way. But somehow Spring does not elicit these joyful emotions within me. Fall on the other hand literally signals that life is soon coming to an end. The leaves change from “ever” green to a variety of yellows – reds – and oranges that eventually give way to dried and withered browns before falling off the tree. Literature tells me that autumn is the prelude to inevitable death. And yet for me, Fall is filled with living color and the hope of good times ahead. After all, in the fall we celebrate Homecoming and winning football games; children dress up as their favorite characters and in exchange for a simple greeting receive enough free candy to last until the new year; the Macy’s Thanksgiving Day parade rings in the start of the holiday season and families from far and wide come together to celebrate the bountiful blessings received throughout the year. Fall is the time when the temperatures drop, clothes are layered, and sitting by the warmth of the fireplace provides one of the greatest pleasures on earth. Yes, I do love this time of year – and I plan to enjoy each and every day that this season has to offer. I mentioned that my daughter was invited to Homecoming this year by a young man who is as enthralled with Harry Potter as much as she. He had sent her a bouquet of six roses – red and yellow for Gryffindor House – and asked her to the dance in true Hogwarts style. There was some talk that they would go as Hermione and Ron, but in the end, they decided to attend as themselves — although as you can see, they both show a strong resemblance to their literary characters. I am sure a good time was had by all – but I will probably not hear about the festivities until later this afternoon when Mandy finally wakes up. I hope you all have a wonderful first week of this new season. I hope that it is filled with cool weather, colorful decorations, and anticipation of good times ahead. Yes, fall arrived in the midwest and my thoughts are turning to pruning – rose bushes, trees, you name it! I'm making my yard barer this winter! Happy autumn! I am in Ohio, so I experienced the same change in weather. I am loving it–I am SO ready for fall. Out here in California, summer has finally arrived. It's been a strange year for weather. We're kindred spirits when it comes to Fall, Molly. My favorite season. And even though I'm a gardener, spring doesn't resonate with me all that much. In fact, another reason to love fall is that I don't have to water the damned garden anymore, lol. Lovely photo of the prom couple! Fall is also my favorite season. I love the cooler weather, the colors. It's a time when routines (school year)gear up again, and that suits my organized personality style well. I like structure! Also, when cooler weather sets in, it's expected that you'll be spending more time indoors, and indoor pursuits are my favorites. I'm such a homebody. I long for retirement, so that I can spend more time at home writing, crafting, and reading. There is a cooler breeze here in central Tx. The temp at noon is 77, but the breeze is refreshing. Autumn is my favorite time of the year, the Summer is my least favorite. I loved the poem Liz! What a great photo of your daughter and date. Very cute! I understand your feelings about fall and I would probably have them if we had more of a fall here in my part of Texas. We don't. Spring is long and lovely. Fall often happens overnight and then it's winter overnight again. My favorite holidays are in fall though. You've described my feelings about fall perfectly Molly!! your daughter is so pretty and I love that pic of them! In truth, it is more fall-ish than fall here; showers threaten, temps are back up into the 80s. Ick. Love the photo of your daughter and her date; they are indeed a handsome couple. I hope they had a fabulous time, and that you have a fabulous week! Today is the perfect fall day here. Molly, that picture of your daughter and her date is fabulous. She is so pretty. 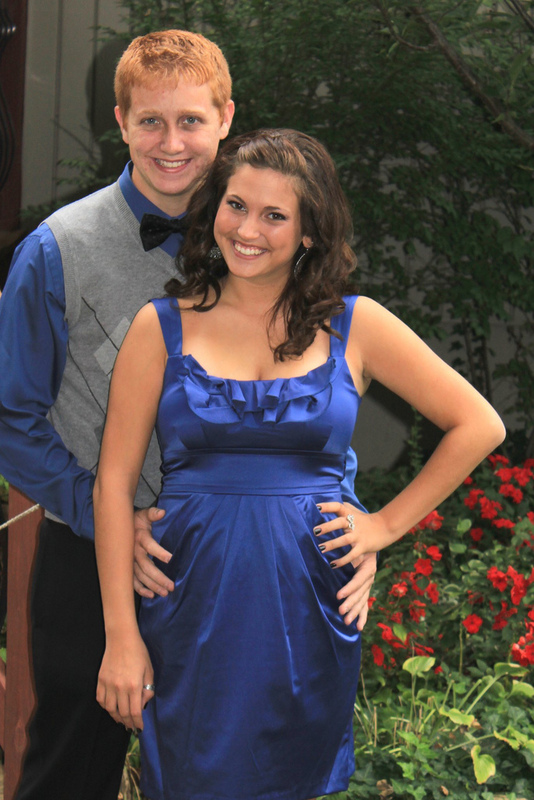 Thank you for sharing the lovely picture of your daughter and date! She's quite the beauty! I have such a hard time with fall–I love the colors, love the cooler weather, love the decor. Hate the idea that winter is just around the bend–after last year's winter, I'm not looking forward to this year! Oh, Molly, your daughter is so beautiful! Hope she had a great time. My daughter went to Homecoming last night and had a blast. Although she's got some stories to tell that are a little horrifying. More chaperones, more chaperones! Fall has always been my favorite time of the year. We don't get changing leaves around here; all our trees are evergreen. But we do get lovely sweeps of northern coolness that changes everything. Tonight's low: 62! I can't wait. Fall Schmall. We probably won't see a decline in temp until the end of October at least. *sigh* Fall is actually my favorite season, even in Florida. It is the smells, and the lack of oppressive humidity. Oh, to open my windows!!! I love Fall too, and I'd been so disappointed that it is so late to arrive here. It started raining a lot today, so hopefully Fall is finally coming here. You have perfectly described my feelings about fall – my favorite season! It was 90 here on Friday, but back to the 60's today. Your daughter's picture is beautiful. Have a great week, Molly! I'm another lover of autumn – the colors, the cooler weather. We're in our "autumn" years and I love the symbolism of change and more comfort, slower pace (for us anyway). Thanks for sharing the "Ron and Hermione" photos – so cute! I'm not really a fan of fall – I much prefer spring because it leads to my favorite season, summer! It's definitely hit fall here though – very chilly and already getting darker in the mornings and evenings. Molly Midwest partner, I love fall, too! It is a shock, though, especially when it blows in. Fall is my favorite, too, and I see it as a time of beginnings. Maybe because school starts in the fall, and for so many years of my life, from childhood until quite late in adulthood, I was in school of one kind or another. And the autumn colors—pumpkins, leaves, etc.,combined with the briskness in the air—signal happiness to me. I love Thanksgiving, too, and all that the holiday brings, with family moments. I've never quite felt the same way about spring. Your daughter's picture is gorgeous. Love those moments! I have photos of my daughter attending various dances, and see different versions of her, depending on who she's with and what she's wearing. Click on my name for the link….